The original trailhead was closed after someone was electrocuted themselves while playing on the powerlines. Access to the cliff is now gained by parking in a nearby park and hiking through a trailer park. As yet there have been no known incidents as climbers hike through the trailer park however, please be respectful of residents and low key at all times. Please observe any posted no-trespassing signs if they show up. 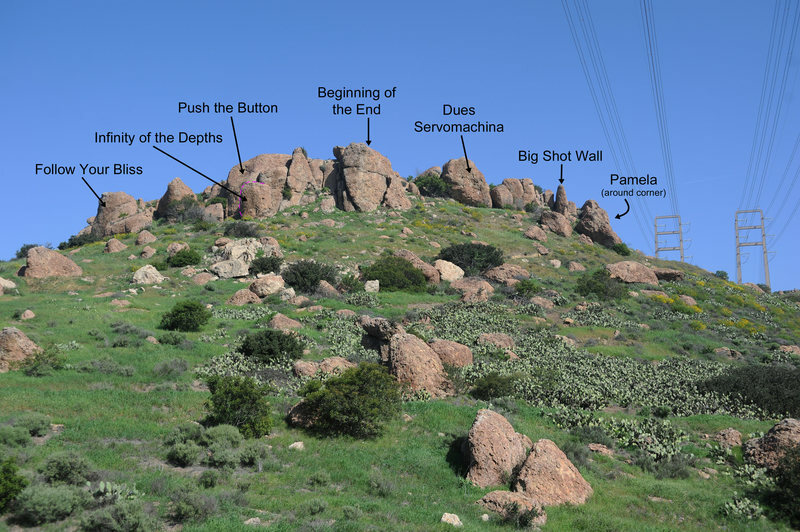 The "main area" on Conejo Mountain and the first to be encountered along the service road. Home to more than a dozen routes mostly in the 5.10 range. Faces east and gets afternoon shade. Get off the 101 freeway at Wendy. If you are coming from 101N go straight until you get to Reino Rd. If you are coming from 101S turn left at the light then turn right on Old Conejo. Turn turn left on Reino. Turn right on Lesser and follow this street as it curves to the right. Park near the yellow fire hydrant visible on the right. The trailhead is located directly across the street, between the houses. 20-30 min walk up to the crag. Every other approach is trespassing and should not be used. This site has seen several chapters of development. 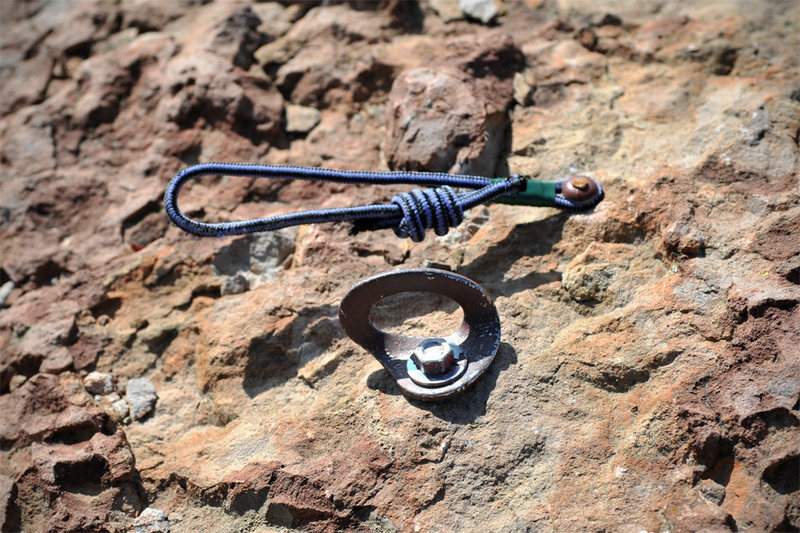 Prior to being developed as a sport-climbing site in the 90s, MST was apparently used for aid practice. There are the remnants of old aid lines which consist of pasted copperheads and quarter-inch button-heads. These historical artifacts litter the various boulders and walls and contribute to a unique atmosphere. Early 90s development turned the site into an accessible, first-generation sport climbing crag. Routes from this era are generally very well protected, although some of the routes sport 20+ year-old 3/8" externally-threaded sleeve bolts and 3/8" wedge bolts that are overdue for replacement. At least 2-chapters of development represented in this photo.